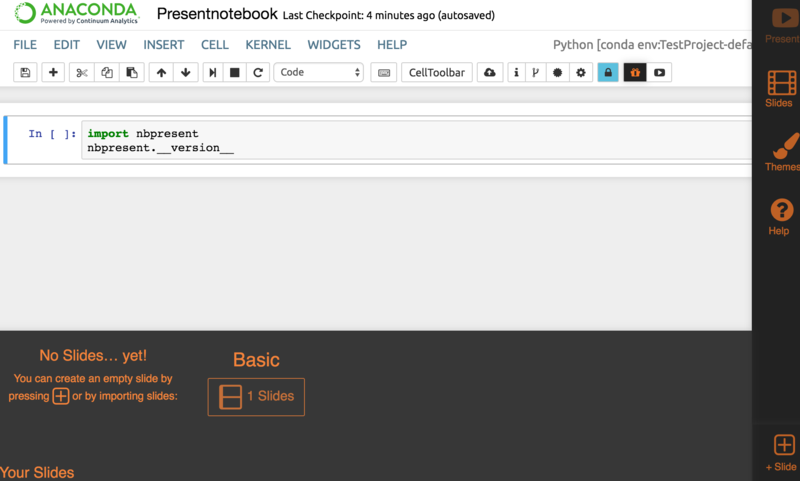 You can open Jupyter Notebook by running jupyter notebook, or by opening Anaconda Navigator and clicking the Jupyter Notebook icon. Installing any of the four installs all of them. The _nb_ext_conf package is also installed, which activates the extensions. Install and manage notebook extensions packages like any other packages. See User guide. To use the new extensions, on the Navigator Home tab, open Jupyter Notebook. 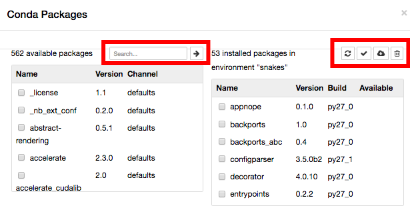 These extensions were already installed in Anaconda versions 4.1 and 4.2. If you have Anaconda v4.1 or v4.2 installed, there is no need to install them separately. To begin using them, open a new or existing notebook. 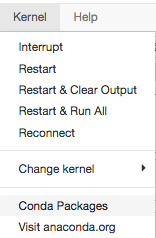 Uninstalling nb_conda or any other one of the four extensions uninstalls all four. Replace <ENV_PREFIX> with your root environment or another conda environment where the extensions have been installed. This extension turns your notebook into a PowerPoint-style presentation. Click the Edit Presentation button. The icon looks like a present in a box with wrapping paper and a bow on top. To see a 2-minute presentation on how to use all of the main features, in the Help menu, select Intro. Stop Authoring–Clicking the Edit Presentation button again stops Authoring and removes all keyboard shortcuts. Show Presentation–If you just want to run your presentation without using any Authoring tools, click the Show Presentation button. Presenting/Authoring–Once you have made some slides, start Presenting, where you can use most Notebook functions with the Theme we have defined, as well as customize slides on the fly. 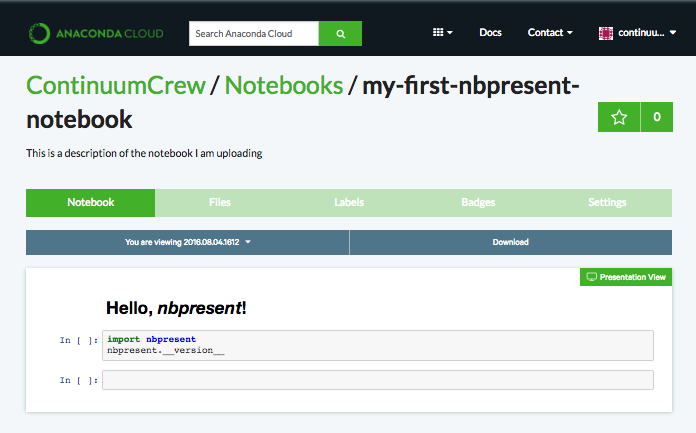 Saving–Whenever you save your Notebook, all your presentation data will be stored in the Notebook .ipynb file. Downloading–After you’ve made a presentation, you can download it as an HTML page. In the menu, select Download, and then select Download As: Presentation (.html). Help–Activate Help at any time to try other tours, obtain other information and connect with the Present community. To see a 2-minute presentation on how to create and manage slides, in the Help menu, click Slides. Slides make up a presentation. Clicking Slides toggles the sorter view and the Slide Toolbar. Slide Toolbar–Let’s create a new slide. Clicking the + Slide offers some choices for creating your new slide. Import–The quickest way to create a presentation is to import every complete cell as a slide. If you’ve already created slides with the official slideshow cell toolbar or RISE, you can import most of the content. Template Library–You can also pick from some existing templates. Reuse Slide as Template–You can copy an existing slide. Simple Template–A common template is the Quad Chart, with four pieces of content arranged in a grid. Region–The Quad Chart has four Regions. Select a region by clicking it. Linking a Region to a Cell Part–Each Region can be linked to a single Cell Part. Link Overlay–The Link Overlay shows all of the parts available. Cell Part: Source (blue)–Source, such as code and Markdown text. Cell Part: Outputs (red)–Outputs, such as rich figures and script results. Cell Part: Widgets (purple)–Jupyter widgets, which are interactive widgets that provide both visualization and user input. Cell Part: Whole (orange)–Finally, a Whole Cell (including its Source, Widgets, and Outputs) can be linked to a single region. Part Thumbnail–We’ll try to draw a part thumbnail. It can be reliably updated only when a linked Cell Part is displayed when you mouse over it, but you should usually be able to get an idea of what you’re seeing. The colors of the regions correspond to the cell types. Cell Part: Unlinking–Unlinking removes the connection between a region and a cell part, without deleting either one. Region: Trashing–Trashing a Region permanently deletes it, without affecting any linked Cell Part. Presenting–Clicking the Present button while editing brings up the Presenter with editing mode still enabled. 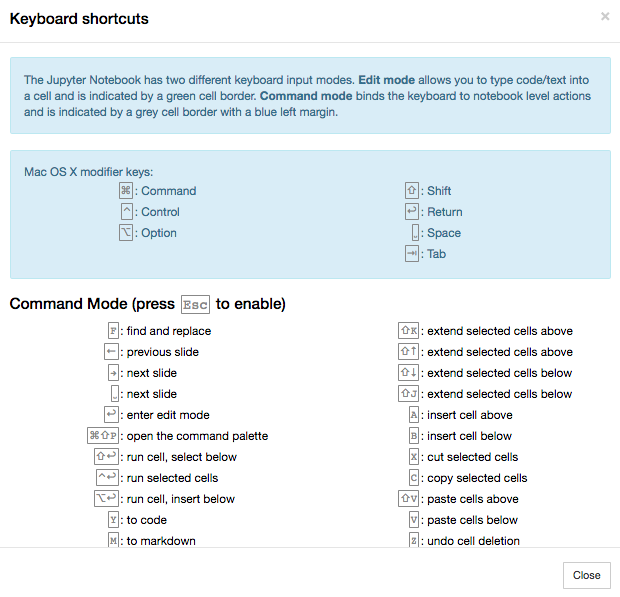 It’s still a Notebook–Linked inputs and widgets are still interactive. Go forward–Click to go to the next slide. Go back–Click to go back to the previous slide. Go back to the beginning–Click here to go back to the first slide. My work is done here–Click to go back to the Notebook. To see a 2-minute presentation on editing your notebook, in the Help menu, click Editor. So You Made Some Slides–Once you’ve made a few slides, you’ll likely need to customize them. Editing Slides–Once you have selected a slide, you can activate the Slide Editor by double-clicking the slide or clicking Edit Slide. Region Editor–You can click and drag Regions around and resize them. Region Tree–You can reorder Regions and see the details of how your Regions show their linked Parts. Add Region–You can add new regions. Attribute Editor–All of the properties of a region can be edited here. Data Layouts–In addition to manually moving regions around, you can use other Layouts, such as a Treemap, which fills the slide. More Regions–More regions will be added with a weight of 1. Tree Weight–This new value lets you make a Region bigger or smaller based on relative Weight. 12 Grid–The Grid is a compromise between Free layout and Treemap layout, and rounds all the values to a factor of 12. You must have an Anaconda Cloud account for this extension to work. You can sign up for a free account at Anaconda Cloud. You can use the Attach conda environment option described below to embed a copy of your conda environment as an environment.yaml file in the notebook metadata. If you are not signed in to Cloud, a dialog box appears asking for your Cloud user name and password. This is recommended if you do not have a secure connection. 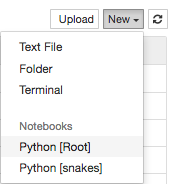 Open Jupyter Notebook, then open the notebook you wish to upload to Cloud. In the dialog box that appears, select your user name. If you want the identical environment to be included when the notebook is downloaded and opened, select the Attach conda environment checkbox. For more information on Cloud, see Anaconda Cloud. This extension provides conda environment and package access from within Jupyter Notebook. 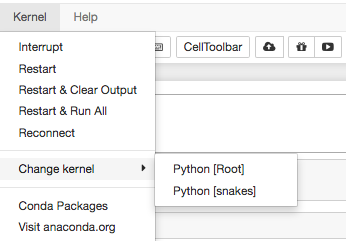 To add a new conda environment, click the + button above the environments list on the right side. Select an environment by clicking its name. Search for packages in your current environment. For more information on using and managing conda packages, see Managing packages. 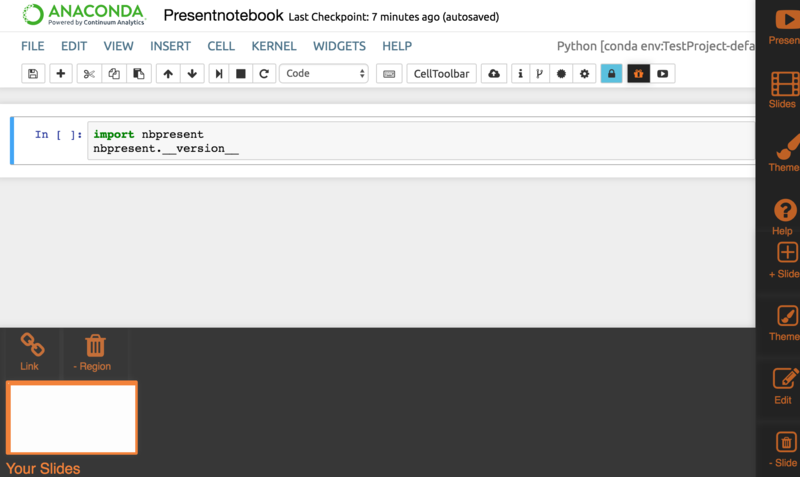 This extension allows you to use conda environment-based kernels from the dashboard and the notebook’s Kernel menu. 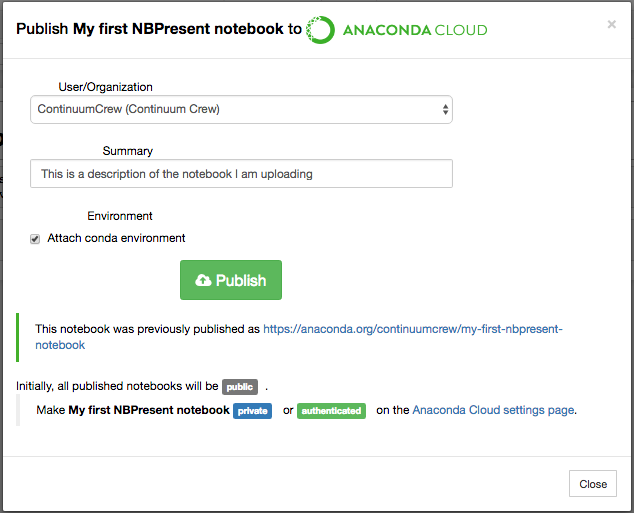 It makes the notebook aware of your conda environments, and it is required for Notebook Anaconda Cloud and Notebook Conda.